RU Finances | Rutgers One is a coalition of students, staff, faculty and alumni united to defend quality public higher education. On April 10, 2014, Professor of Accounting, Dr. Howard Bunsis (Eastern Michigan University) presented an in-depth financial analysis of Rutgers University budget and financial data. Among much other data, this analysis shows that RU has $600 million in unrestricted reserves (see this page from the full report). The main take-away is that Rutgers University does not have a budget crisis, but they do have a distribution crisis. Dr. Bunsis also demonstrated the lack of transparency, comparing the RU with other Big Ten universities. The report also indicates that RU is subsidizing the athletics program. Ticket sales account for 15% of the revenue used for athletics, while 15% comes from student fees and 29% from general funds (this is shown on page 89 of the full report). Justice Brandeis’s dictum that “Sunlight is the best disinfectant” couldn’t be more accurate when it comes to Rutgers University finances. Our April 10 university-wide “Open the Books!” event featuring Dr. Howard Bunsis, professor of Accounting at Eastern Michigan University, revealed three key facts about Rutgers: an extraordinarily large and highly paid management, an inflated sports budget that is a drain on the academic mission, and a troubling lack of transparency, even when the news is good. A whopping 79 administrators each make over $250,000, for a total of more than $26 million in administrative costs at the highest levels (non-inclusive of bonuses and other perks)—a “shocking” number compared to other public institutions, according to Professor Bunsis, who has analyzed scores of other university budgets. By contrast, well-paid tenure-track faculty jobs have been slashed by 4 percent, while significantly lower-paid contingent faculty jobs have skyrocketed by 154 percent at New Brunswick alone, a trend found on all Rutgers’ campuses. The report revealed a stunning $200 million in cash flows in 2011, the year Rutgers’ management imposed a salary freeze on union faculty and staff, indicating the freeze was likely one of choice not necessity. Though we’ve all read news about the mammoth athletics subsidies at Rutgers, the presentation showed that 44 percent of the nearly $72 million in expenses for sports comes from student fees and funds meant for the core academic mission. Other Big Ten schools like Ohio State, Michigan, Purdue and Illinois do not use any funds from academics. This subsidy is clearly unacceptable. Oddly, even great news about our high graduation rates is hidden from Rutgers’ websites, as is up-to-date budget information. Despite having more than one-third of our students receiving Pell grants, indicating they are from modest-income families, Rutgers University-New Brunswick graduates nearly 80 percent of its incoming class over six years, and Camden and Newark over 60 percent. We should be proud of this achievement and encourage top administrators to be transparent about this, along with budget information absent from our websites, which is easily accessible at our peer institutions. In sum, with $600 million in non-restricted funds, Rutgers is not strapped for cash. Our Open the Books event showed that Rutgers does not have a budget crisis, but a distribution crisis. 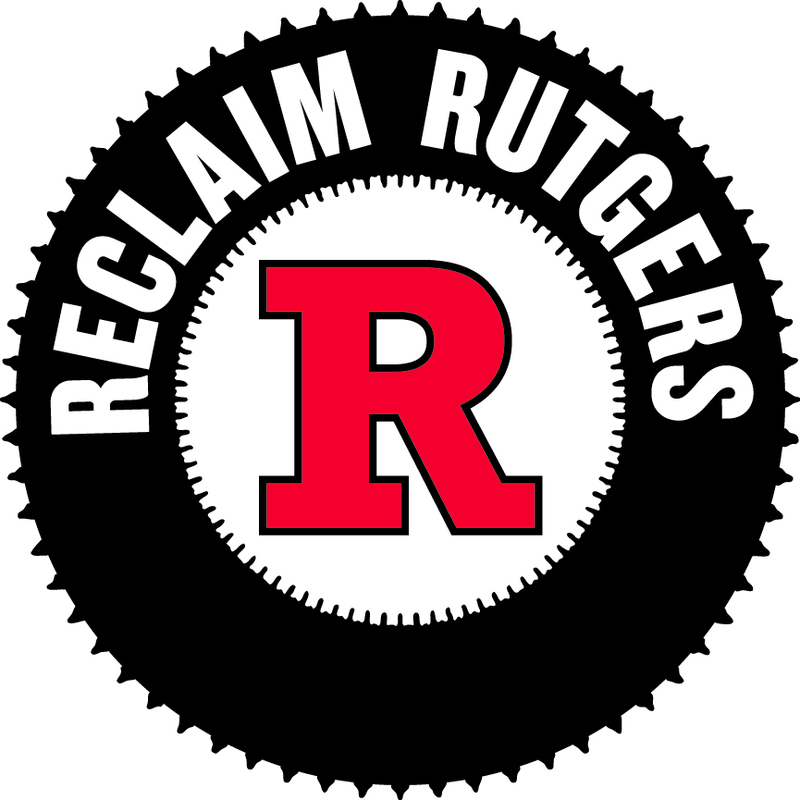 We must mobilize our members to win a contract that shifts the spending priorities toward quality education and working conditions in order to Reclaim Rutgers.